If not properly maintained, the conveyor may experience rapid belt wear and component failure, resulting in downtime and maintenance. This has a corresponding negative impact on productivity and profit. Therefore, we must improve the most common problems with conveyors and the understanding and prevention of problems in the future. The transportation of mineral products accounts for a large proportion of the total mining cost. Therefore, conveyor systems have become a universal solution to improve operational efficiency. The challenge is that conveyors typically operate under extremely harsh conditions, such as dirty environments, high or low temperatures, and high humidity. If not properly maintained, the conveyor may experience rapid belt wear and component failure, resulting in downtime and repairs. This will have a corresponding negative impact on productivity and profit. Therefore, we must improve the most common problems with conveyors. Problem: When the belt deviates from its desired path, the belt runs off. This is a serious problem that can result in belt damage, equipment failure, and material spillage. There are many reasons for belt deviation, such as insufficient belt tension, eccentric load, incorrect splicing, component deflection, material accumulation on components and components, and so on. Solution: The best solution is to find out the root cause of the belt deviation to prevent the same problem in the future. Conducting a belt check helps identify all potential problems that cause deviations in order to develop a suitable solution. If the belt has a slight deviation, use the self-aligning roller to correct the belt’s trajectory and ensure that it will always run straight ahead. Problem: When a small amount of material adheres to the belt, the transport opportunity is returned. This can cause the material to build up under the conveyor belt or accumulate on the rollers and rollers. Certain materials, such as cohesive soils and certain ores, adhere more easily to the belt than others. Although the amount of return shipments is negligible, the time is long, and there are tons of materials accumulated, which has to be cleaned up twice. 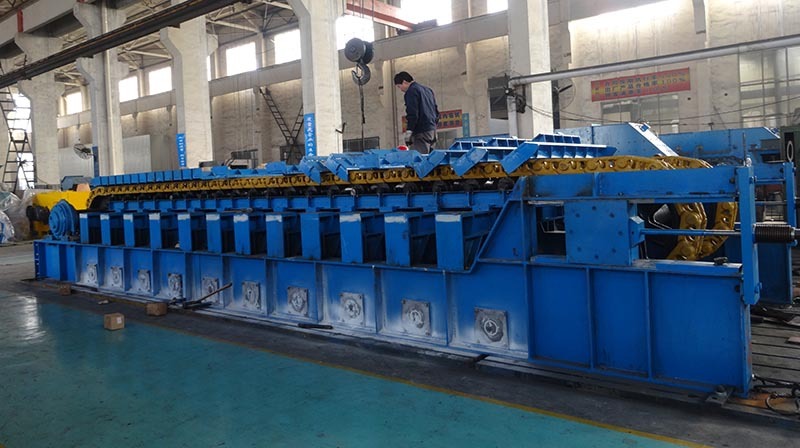 Material return also poses safety and environmental hazards, increases cleaning costs, and is generally not conducive to optimal operation of the conveyor system. Solution: A simple solution is to install a net belt that is designed to prevent backhaul. The benefits of the net belt are sufficient to offset the upfront investment costs. Reduce material spills, save on maintenance costs, and create a safer working environment. In addition, the clean belt prevents premature roll damage, extends belt life and keeps the system in optimum operating condition. Problem: There are several reasons for belt damage, such as excessive impact, deviation, improper use of the sealing system or belt cleaner, component jamming and insufficient drum traction. The belt is the most expensive part of the conveyor, so you must find the potential cause of the belt problem and take active measures to avoid irreparable damage. Solution: There are many reasons for belt damage, so there are many different solutions. For example, installing a cushioning roller or bracket in the feed zone can dissipate the impact of the falling material, thereby reducing wear and tear on the belt. The use of a suitable sealing system prevents the belt from being damaged by stagnant materials. Use a suitable roller wrap to increase friction and prevent the belt from slipping without damaging it quickly. These solutions help minimize maintenance downtime, usually determined by a single belt check. Belt inspection can capture minor belt damage to avoid serious failures in the future.